Size: 41-45 inches in length. Weight: 15-35 lbs; with females slightly smaller than males. 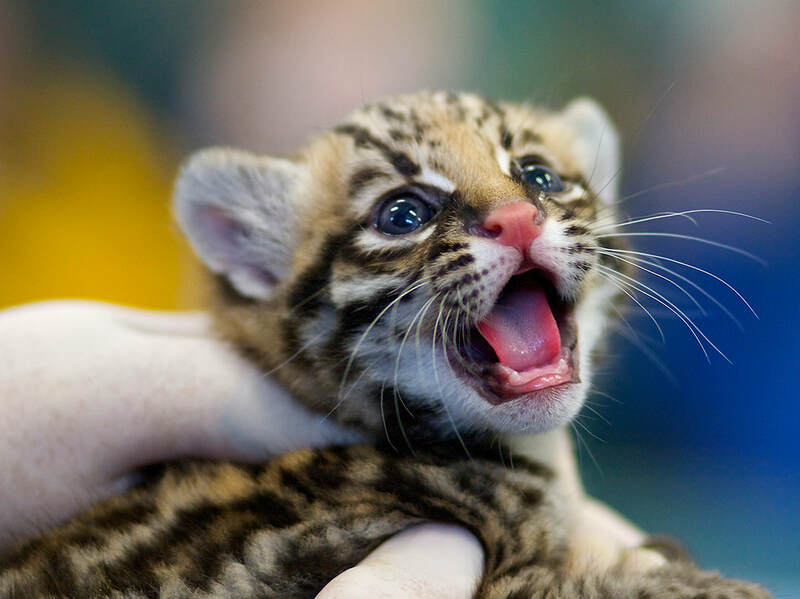 An Ocelot’s night vision is six times better than a human’s. They occupy a wide spectrum of habitats, including mangrove forests, coastal marshes, savannah grasslands, pastures, thorn scrub and tropical forests of all types. 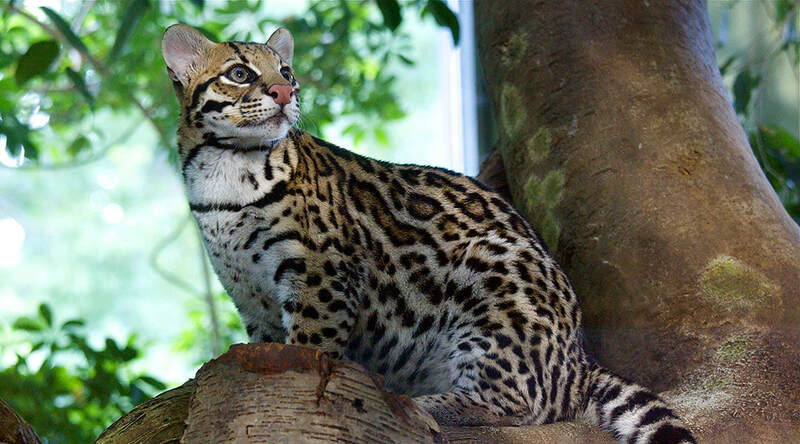 Brazilian ocelots are found in southern Brazil, Paraguay and northern Argentina. Terrestrial nocturnal rodents, medium sized mammals, reptiles and birds. (They are expert bird pluckers, removing most feathers before eating their catch.) They also target the juveniles of large mammal species. 7-10 years in the wild, and up to 20 years in captivity. 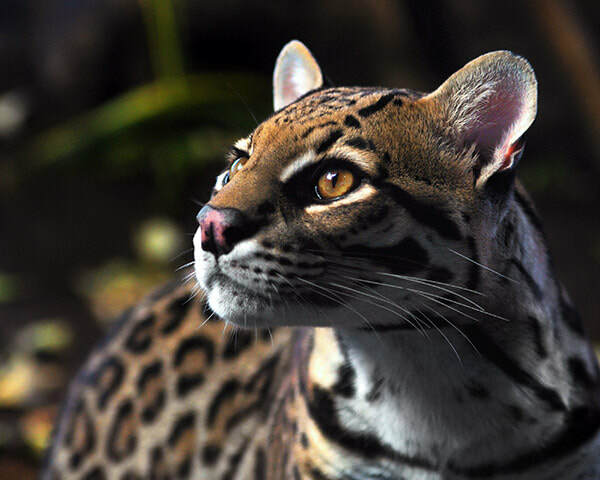 In partnership with the Ocelot Species Survival Plan (SSP), the Brazilian Ocelot Consortium (BOC) was established in 2002. These two conservation programs collaborate to protect and conserve these beautiful cats in the wild (in-situ) and through breeding programs with participating AZA (Association of Zoos and Aquariums) conservation centers like Connecticut’s Beardsley Zoo.